It's almost time for summer vacation and kids everywhere are excited to finally have time to do whatever they want. Summer is always a good time: popsicles and pool sides, or hamburgers and hiking, summer wouldn't be the same without them. But this summer, try stepping outside the usual activities for a few days. Spend some of your three blissful months of vacation in Glens Falls at World Awareness Children's Museum. The museum provides many exciting things for the upcoming months! 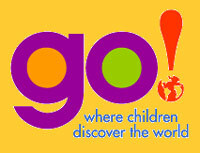 The museum had previously announced that they would be opening a new interactive space called go! for the summer of 2011. Go! is now officially a go for this summer. It will be a place where your child can learn about other cultures through their own experiences. Go! promises to be a place where fun and learning meet, as children will be engaged in a number of different hands on activities, all which promote learning about the rest of the world. The space is in its final phases of construction now and will be open July 5th. In the meantime, why not check out one of the World Awareness Children's Museum's summer programs? Every Tuesday and Thursday from 10 a.m. to noon in July and August, there are summer programs where your child can learn about other cultures. During the summer programs children can create cultural crafts, try different types of food and many other exciting, educational activities. Newly located at 89 Warren Street in Glens Falls, the World Awareness Children's Museum is a creative way to educate your kids when school is out. It will immerse kids in culture in an enjoyable and engaging atmosphere. Don't let your child miss out on this opportunity to learn and have fun this summer! For more information, contact the World Awareness Children's Museum at (518) 793-2773.